The family friendly festival taking you back to the pre 80’s with great music for the dance floor, specially picked retro markets, stunning vintage caravans and hundreds of your favourite cars. That’s the promise of Wintersun 2.0, a nostalgic event with the laid back feel of a country fair with some added gas! 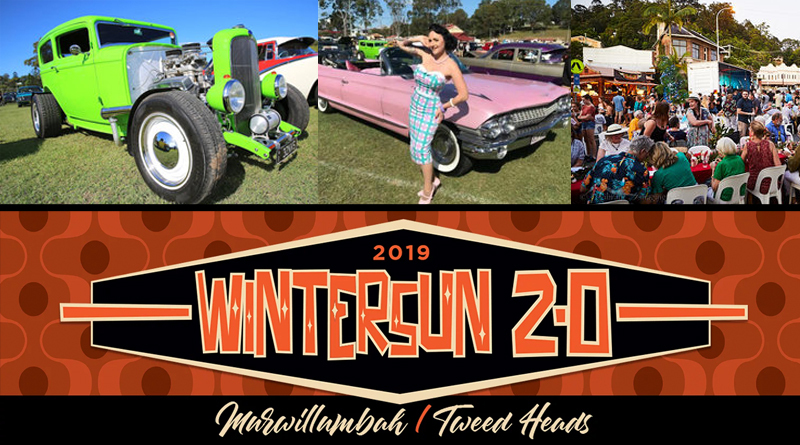 Wintersun 2.0 is brought to you by a team of dedicated car enthusiasts who do this in their spare time and extend an invitation to all to join them this year at Murwillumbah, Northern NSW, the perfect vintage Art Deco Town to host the festivities. 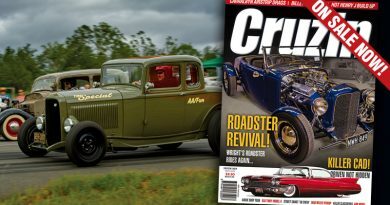 The weekend kicks off on Friday, May 31 with an afternoon car cruise to Mt Warning Hotel Uki and take in the views of the Spectacular Green Cauldron that is the Tweed Valley! In the evening, kick back to live rock and roll at the Courthouse Hotel, or grab a ticket to ride on the Rock ‘n Roll Boat Cruise presented by Mt Warning Tours. 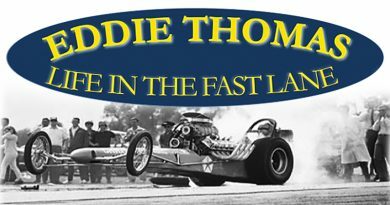 Kicking off the car show on Saturday is Rebel FM’s Ash doing live crosses from the event, Feet with Heat Dance Workshops, Live on the Edge photography taking glamour shots of cars, retro fashion and memorabilia markets, and gourmet food trucks! Four super bands and prize draws at 1:30PM at The Courthouse Beer Garden. 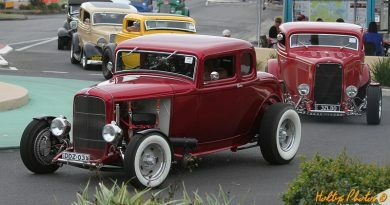 The party continues in the street in the evening with reserved parking for cool cars and live rockabilly. 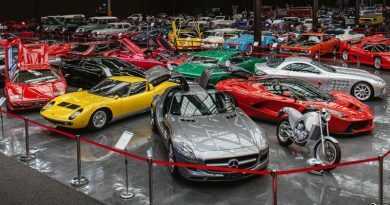 On Sunday, the festivities continue with more markets, dancing and the massive show and shine which includes prizes for the Top Ten. Award presentation and prize draws start at 1:30PM. 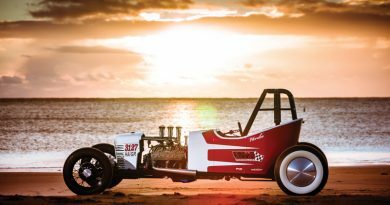 Just for fun, the action continues on Monday with a driving event at Seagulls in Tweed Heads. All entrants are welcome to join in for some fun and of course there’s a trophy in it for the winner! The weekend is popular with campers, so bring your tent or van and stay three nights including registration for your classic. Just want to cruise? Then $50 will get you a car entry, two adults plus kids, an entrant tee and goodies bag. Novice golfer Neil Harbison determined that his spare time was better spent chasing flathead parts than little white balls!